What is the advantage of choosing a string quartet rather than some other ensemble? The string quartet, comprised of two violins, one viola, and one cello, is the most widely recognized of chamber ensembles. It offers a very full and pleasing sound, providing a soprano, bass, and two inner voices. While the string quartet can easily be heard, it’s also possible to talk over it at receptions and parties as opposed to many other instrumental combinations. How far in advance should we book your group? As soon as you decide that you’d like to hire us, go ahead and call or email us. We get calls several months before some dates and “last minute” for others. As soon as you’re sure, the best way to be certain that we are available for you is to book us right away. What happens if a member of the quartet becomes ill or (heaven forbid) breaks an arm? Do you have to cancel our engagement? Absolutely not. The Mid-America String Quartet has been performing for over 25 years, and has never had to cancel an engagement. On occasion, one of our musicians may be replaced with another experienced player who works with us on a regular basis and is familiar with our repertoire. At the risk of sounding like a football team, we’re “4 to 5 deep” in every position. The musicians dress formally unless our client requests otherwise: men in tuxedos and women in black attire. What does the quartet require at the location? The quartet requires four armless chairs placed wherever you’d like us to set up. We provide everything else. If I decide to book the quartet, will I receive a contract? Yes, and it will state the exact date, times and location(s) of the engagement, as well as the price agreed upon. Does the quartet require a deposit? Yes, we require a $100 (non-refundable) deposit. In addition, we require a post-dated check for the remainder, dated two weeks before the date of the event. The post-dated check will be held until the date on the check and will be returned to you should you need to cancel our services prior to noon on that date. In the event that you're booking the quartet for a government agency or other organization that is not permitted to issue post-dated checks, other arrangements can be made. In general, no. If you are interested in doing a lot of dancing, we’d recommend a band with a rhythm section or a DJ for that portion of your event. However, we’d be happy to play a popular song for a first dance for a couple (and their families) if desired. Will the quartet play outdoors? Yes, and we hope like you that the weather will be perfect on that day! When playing outdoors, our only concerns are for the safety of our valuable instruments and our ability to provide quality music. This means that the instruments must be kept dry (even from the slightest drizzle), they must be in full shade, and the temperature must be at least 65 degrees so our fingers will work properly. In the case of precipitation, please have an optional location in case the weather changes unexpectedly. We wish to avoid any last minute delays or potentially awkward situations at your event. Does the quartet need to take a break? Not during a wedding ceremony, of course. However, it's necessary to rest our fingers and "freshen up" periodically. We'll make every effort to coordinate our break with the activities of the event. Is there an extra charge if my wedding ceremony and reception are at two different locations? No, we do this all the time. The quartet charges for the full duration of the engagement, including the time involved traveling between the two locations. Can the quartet perform special requests? Yes, if the selection is in our quartet's library (see REPERTOIRE/SAMPLES ). 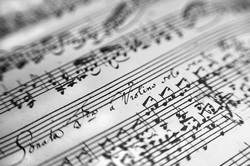 If the selection is not available for string quartet, for a nominal fee we can have a special arrangement made for you. Does the quartet accompany guest singers or instrumentalists? We often accompany singers or instrumentalists, but it does require an additional rehearsal, usually just prior to the engagement. Of course, an additional fee is incurred. Do we need to meet in person to plan the music for my wedding? We can if you’d prefer, but it’s not necessary. All details can be addressed over the phone, or by email. Does the quartet attend my wedding rehearsal? It’s not necessary for us to attend, and it would incur an additional expense. We have vast experience in coordinating the music to the ceremony. Will the quartet play prelude music before my wedding ceremony? Yes. Our fee includes thirty minutes of prelude music before the start time of the ceremony. This provides beautiful music for your guests as they arrive and wait for the festivities to begin. Do I need to choose the prelude music? Only if you want to. We are happy to do that for you, if you prefer. .
How do I choose the music for my wedding ceremony, and how many pieces will I need to select? You might want to select a piece for the entrance of the mothers, although many people prefer to have them enter toward the end of the prelude music. You’ll most likely want to select a piece for the entrance of the bridal party, another for the entrance of the bride, and another for the recessional. Please see our REPERTOIRE/SAMPLES web page which provides numerous examples for each of these functions. We’ll be glad to assist you through in this selection process. How will the quartet know when to start the processional music? We will meet with the coordinator, or designated contact to arrange a cue. Do we need to time our entrances to finish with the music? No, the quartet will do the timing. Just let us know how many people will process to each piece of music. What if I think of questions after we have worked out all the wedding details? Our fee includes unlimited consultations. Call or email any time you have additional questions or additional information you need to give us. We’re very “user friendly”, and we want you to be completely comfortable.